The word Ketogenic gets thrown around a lot in health and fitness circles. We know how it can help you lose weight but what we don’t hear a lot of is the health benefits that go beyond just fat reduction. Meet Lisa, a mother, wife, friend and a full-time Veterinarian. Looking at Lisa you would think she’s a healthy 48-year-old woman who enjoys spending time with her family and competing in local horse shows. But what you couldn’t see from this photo is that just 8 months ago she could barely get out of bed in the morning because of her debilitating chronic pain. This myriad of medication was doing nothing to relieve the pain, making day-to-day tasks unbearable. Lisa had to drop back a day at work due to the pain and her inability to move without feeling constant pain. She had seen countless Doctors including a neurological specialist, pain specialist and numerous local General Practitioner’s to try and get some relief from the symptoms. It got so bad that she was recommended to take medicinal Marijuana to help relieve the pain. At her worst Lisa was 102kg with high blood pressure, drinking up to 2-4 Red Bulls or Cokes a day with a diet high in trans fats and processed foods. She remembers not being able to get out of bed in the morning due to her lack of energy and the unbearable pain that she suffered due to her Fibro. She couldn’t even fly to visit her daughter in Brisbane because the pain she experienced during the flight was unbearable. Her lifestyle coupled with her chronic pain was making life unliveable, as a 48-year-old taking up to 7 pills a day she knew she couldn’t keep living in this way. This realisation was the turning point where Lisa knew she needed to make a lifestyle change. She was recommended the Keto RX Diet program by her son-in-law, Lisa and her husband Bruce than set off on their ketogenic journey and haven’t looked back. 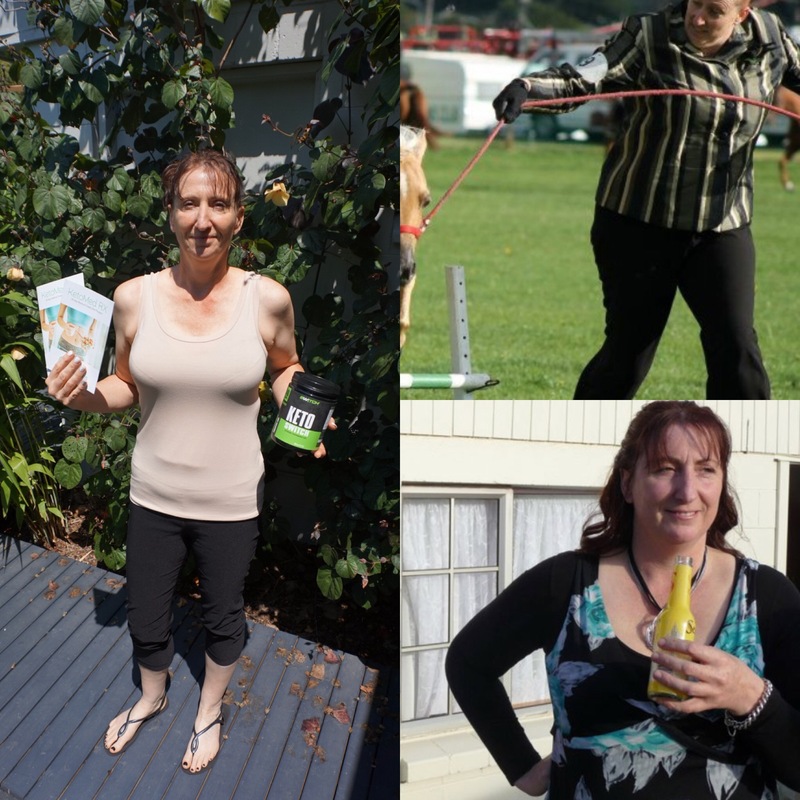 In the first two weeks Lisa lost a massive 10kgs, from cutting all refine sugars and processed/trans fats. She started with the basics of the ketogenic diet first following the Keto Med RX Diet program. Once she started see the results she quickly became more excited about cooking and experimenting with her meals and pushing herself with her fasting. Lisa has lost a total of 34kgs in 8 months on the Keto Diet. Starting at 102kgs and is now at 68kgs. She says that the weight loss is only a bonus of the keto diet though. The main benefit she has experienced on the program is losing almost all her symptoms associated with Fibro. Lisa is now on no medication, has gone back to working full time, sleeps through the night, and has a good relationship with food! She has now been able to go and visit her daughter in Australia all thanks to the results she experienced on the Keto diet. Her and her husband Bruce, plan to “Keep Calm and Keto on” for the rest of their lives!